Over the past several years we have seen a significant increase in the number of customers that ask us about integrating CATALYST® Abstract Management System by Omnipress with their Association Management System (AMS). This probably comes as no surprise, as event technology integration is a hot topic in the meetings industry right now. Meeting planners are looking for ways to simplify processes for both attendees and staff while gathering smarter insights about their event. At Omnipress, we’ve developed CATALYST to integrate with many third-party technologies, including your AMS, and are continually working to increase our software integration footprint. We want to be sure that integration is an option for our customers when necessary. 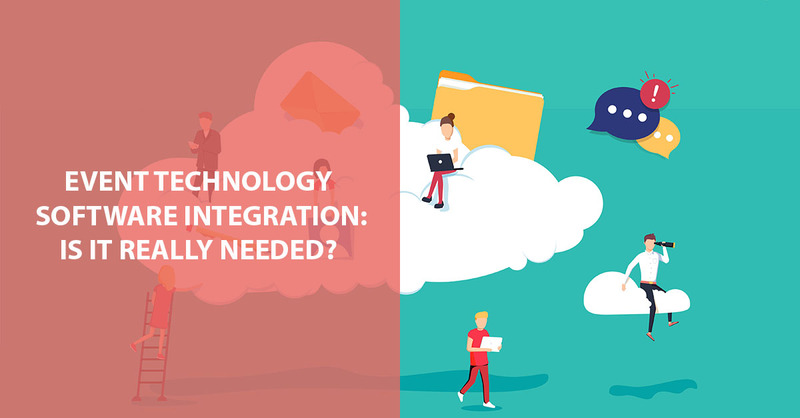 But integration–not just with an abstract management system, but with nearly any type of cross-platform connection–often requires more time and resources than meeting planners are prepared for. Before embarking down the integration path, it’s extremely important to have a clear understanding of your objectives and desired outcomes, to evaluate whether or not integration is truly necessary. The event technology landscape is overwhelmingly diverse. Corbin Ball, a noted event technology expert, states that he currently tracks, “nearly 1,500 event tech products in 60 categories” on his website, ranging from comprehensive all-in-one platforms to smaller, more specialized tools. The benefit of an all-in-one platform is that, in theory, all products within the platform seamlessly integrate with each other. But many organizations find that not all tech products available within a single platform meet their specialized needs uniformly. As a result, they opt to build a “tech stack” of separate, best-in-breed products that can (hopefully) connect data from one system to the other seamlessly. Recognizing this need, more and more technology providers are building cooperative relationships to ensure their products “play well” together. The case for integration makes perfect sense. As a meeting planner, why wouldn’t you want to have the option to choose tools that work best for your specific organizational needs, and the convenience of a streamlined way to capture, track and manage data between them? If a member already has login credentials to access their account details or resources based on their member profile and status, those same credentials can be used to log in to CATALYST. This makes the process of submitting abstracts more convenient and simpler for users. With AMS integration, organizations can use data such as member level, member status or payment transactions to control access to online educational materials. Additionally, meeting planners and program managers can control whether a member has permission to submit an abstract, or even which questions they see on the submission form. Pull member data from your AMS into CATALYST and simplify the submission process for an author, preventing them from having to re-type data that already exists in the system. With AMS integration there’s also less room for human data entry error, increasing data cleanliness and accuracy. Many abstracts or papers are submitted by one author, on behalf of a team of co-authors who are also members of the organization. Data integration can allow that author to easily look up co-author information from the AMS and have it auto-populate into the abstract submission form, increasing convenience and data integrity. Is Event Technology Software Integration Important to Your Organization? Unfortunately, there is no “simple button” to push to make integration happen, no matter how technologically advanced the product is, nor how experienced the provider. Given the resources required, the real question for meeting planners is whether the ROI truly makes sense. To help in your evaluation, here are just a sampling of the questions Sean and his team explore with customers before settling on integration options. 1. What current challenges or pain points are you trying to solve, and why? In some cases, we’ve found that data integration was not the core of the issue. Instead, we worked with customers to address and improve aspects of their submission and review process, which helped to reduce and streamline the work involved. 2. By solving these challenges, what is the estimated net gain to your organization—time, labor, financial, etc.? It’s important to understand the true impact of integration to help calculate the short and long-term ROI for the organization. 3. How often, or how real-time do you need to access the data? If there truly is a need to see data on an ongoing basis or in real-time, then integration probably is your best option. Sometimes, customers indicate they only need data at the very end of the project. In these cases, we can often provide the data they need, at no additional cost to them. 4. Where are you in the current lifecycle of your AMS? Are you planning on making a switch in the next 1-2 years or making a major change or upgrade within your existing system? If you foresee any major changes on the horizon, then we recommend delaying the integration conversation until that time if possible, because the work that is done the first time will likely have to be done all over again once the changes are implemented. There’s no doubt that increased visibility, streamlined processes and consistent data provide significant benefits to meeting planners. Integration of your organization’s event technology is one way to achieve this. But depending upon your true needs and goals, it may be possible to implement more practical processes that achieve the same results, without the necessary timeline and investment of integration. It’s important to ensure all stakeholders are aligned on objectives and outcomes and come to the table with an open mind. There is no doubt that integration will continue to play a large role in the future of event technology, including CATALYST Abstract Management System, but it may or may not be the best option for your organization today.